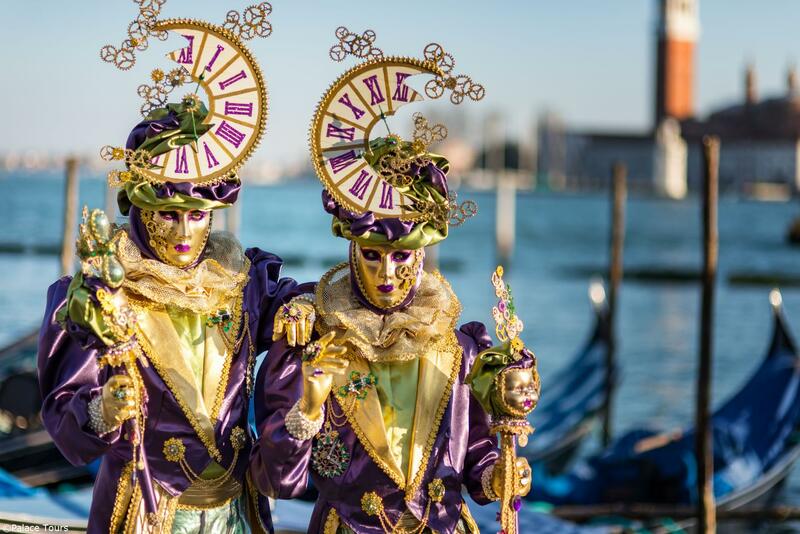 Enjoy the romance and charm of the legendary Venice Simplon-Orient-Express from Paris to Venice overnight. 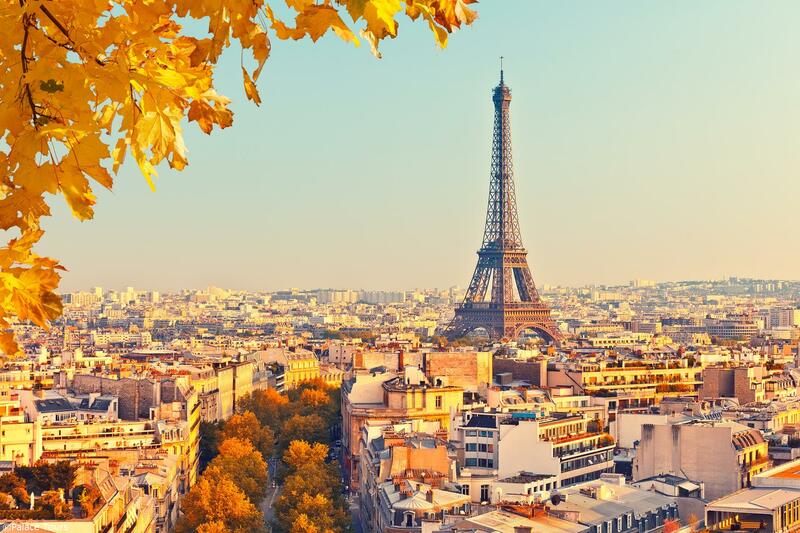 As your train travels between these iconic cities, enjoy fine cuisine in one of the three restaurant cars, comfortable and private accommodation, and beautiful scenery on this classic journey. In addition to three dining cars, the Venice Simplon-Orient-Express has a Bar Car where you can chat with other passengers and listen to live music from the resident pianist. Wake up the next morning among new, magnificent landscapes, and well-rested for your day's adventures. 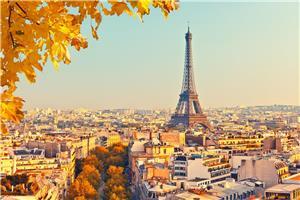 Embark on your journey in Paris, where you board the Venice Simplon-Orient-Express. Spend your day exploring the vintage carriages, three dining cars, Bar Car, or simply watching the scenery roll by. 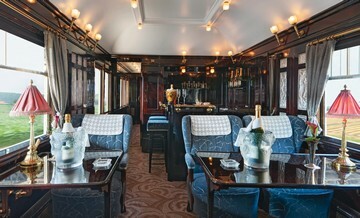 Settle into your private cabin and relax before having a four course dinner in one of the beautiful restaurant cars. After dinner your cabin is transformed into a comfortable bedroom for the night. Wake up to beautiful scenery and breakfast served in your private cabin. Relax in your cabin, or with your fellow travelers in the Bar Car for the rest of the morning. Enjoy a three course lunch in one of the restaurant cars as your train continues through the European countryside. In the afternoon, tea is served in your cabin. Your luxurious journey comes to an end as you train arrives in Santa Lucia station after crossing the Venetian Lagoon into the city. A limited number of single cabins are available at the above listed prices. After these cabins have been sold, single passengers will be charged a 60% supplement for private use of a double cabin. Please contact our office for availability. Twin Cabins feature upper and lower berths while Single Cabins have one lower berth. During the day, the berths are transformed to offer seating. At night, your cabin becomes a comfortable bedroom with damask sheets and luxurious blankets. You can also has a Cabin Suite formed of two interconnecting Twin Cabins. Your cabin also includes a washbasin. Luxury lavatories are available at the end of each carriage. 1What is the history of the train? Board the Venice-Simplon-Orient Express and you are embarking on an adventure embraced by film stars, royalty and even spies. Under one man’s mission to bring the train back to life, the vintage carriages were bought in 1977 and carefully restored for the train’s relaunch in 1982. Today, it is still one of the most desirable travel experiences in the world. The carriages were created between 1926 and 1949 they echo the style of carriages previously introduced in the US by George Mortimer Pullman - whose surname remains a byword for luxury rail travel. 2What are the different trips offered by the Venice Simplon-Orient-Express ? Where do they run and for how long, and what are their costs? Contact Palace Tours for more information at 609-683-5018 or email us at travel@palacetours.com. Trips range from one day to five nights and journey between top European cities such as Budapest, Istanbul, Paris, Venice, and London. 3Describe the cabin accommodations on board. The train features Twin Cabins and Cabin Suites. Twin Ca. Singles are the most basic accommodation at one bed, while twins hold two beds in an upper and lower berth. During the day, these twin berths may be reconfigured into banquet seating for greater comfort. The cabin suites are the largest accommodation, and contain two of the twin beds. These give you the option to keep one twin set down for a larger living space during the day, and have the other side readied for bed. All three of these vintage cabin types feature rich oak panelling, which can be drawn back to bring forth a washbasin at one corner. Lavatories at the ends of each carriage are adorned by mosaic tiling for added luxury. Twin cabins feature upper and lower berths, and can be made up as single cabins to have one lower berth. Crisp damask sheets and fine blankets contribute to a cosy and restful atmosphere at night; during the day, the berths are transformed to offer comfortable banquette seating from which to admire the views. A Cabin Suite formed of two inter-connecting twin cabins can be reserved, using one cabin as a living area and the other for sleeping, or as a lower berth bed in each. 4Does the train travel at night? Yes, the train continually moves throughout the night. 5Describe the lavatory and shower on board. 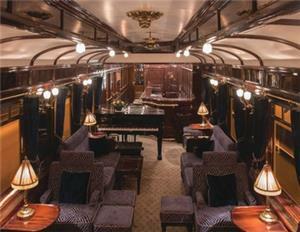 The Venice Simplon-Orient-Express cars are the original 1920s carriages. Each cabin comes complete with its own washbasin with hot and cold water, towels, bathrobes and slippers. Lavatories are located at the either or both ends of each sleeping carriage. However, on longer journeys the train makes alternating stops at local hotels to accommodate showering. Nights on longer journeys alternate between hotel stays as the train does not keep passengers on board for more than one night at a time. 6How many passengers does the Venice Simplon-Orient-Express accommodate? The train carries a maximum of 182 passengers. A private charter may also be arranged to allow for an exclusive experience for any special occasions or business trips a group may require. 7Describe the decor of the Venice Simplon-Orient-Express . The current art-deco design of the Venice Simplon-Orient-Express carriages originated during the golden age of rail travel, the roaring 1920’s. As such, travelers will appreciate art-deco style as they are stepped into this elegant environment, where rich inheritances from the past meet modern luxury. 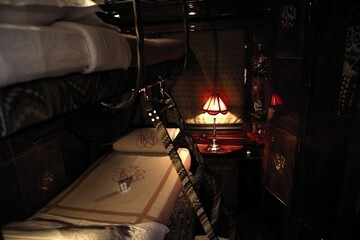 There is a timeless allure and romantic quality present throughout the Venice Simplon-Orient-Express . 8Describe the dining accommodations on board. The Venice Simplon-Orient-Express contains three distinct restaurant carriages originally built in the 1920’s: Côte d’Azur, Etoile du Nord, and L'Oriental, each of which has been beautifully restored and decorated. In any of these carriages, guests can expect a unique dining experience on par with Europe’s top restaurants through terrific ambiance, service, and fresh ingredients picked up at stops along the journey. The Executive Chef Christian Bodiguel, has been preparing the finest French and European cuisines for over 30 years on board the Venice Simplon-Orient-Express . To accompany Bodiguel’s culinary creations, the train stocks fine wines and other a la carte options at an additional charge. 9Does the train contain a bar car in addition to the restaurant carriages? Yes. The “3674,” named for the car’s original numerical designation, serves as the bar carriage for the Venice Simplon-Orient-Express . Here you can unwind with a cocktail as you chat with fellow guests, enjoying the sweet tones of the resident pianist on a baby grand. 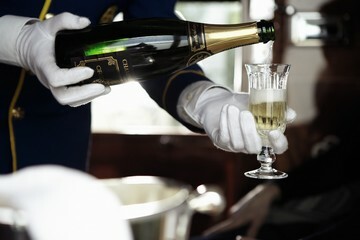 In addition to the 3674 carriage, the Venice Simplon-Orient-Express recently added a Champagne Bar stocked with some of the finest French vintages. Here you may enjoy top brands such as Tattinger, Laurent Perrier, and Louis Roederer. 10Can the train accommodate dietary restrictions? Yes, just notify Palace Tours before booking your trip, and your unique needs will be accommodated. 11What attire should I wear on the train and on any excursions? You can never be overdressed on the Venice Simplon-Orient-Express. For dinner, we ask that men to wear wear a suit and tie and women dress in smart attire, but many guests like to don black tie or evening dress for the occasion. During the day the dress code is smart-casual. At lunch, for example, a jacket and tie is suitable for men. Jeans and sneakers are not recommended. For the excursions dress may be casual, but suited to weather conditions. 12How much luggage can I bring? In your cabin on board the Venice Simplon-Orient-Express, space for luggage is limited. Due to space constraints luggage is limited, per person to; one suitable piece of hand luggage and one suit carrier or overnight bag (to be placed in your cabin) and one suitcase to be checked through for storage in the baggage car (where it will not be accessible until you reach your destination). Please note that your tickets, passports or any medication or other items required must be kept in your hand luggage at all times and not stored in the cabin or stored luggage. Upon arrival at your destination, luggage collection can sometimes take as much as 30 minutes. You may be able to wait on board the train while the luggage stored is unloaded. 13What are the typical weather conditions like throughout the Venice Simplon-Orient-Express journeys? Weather conditions are seasonal: warm temperatures throughout spring and autumn, hot temperatures throughout the summer, cold temperatures with snow throughout the winter. Be aware that the Venice Simplon-Orient-Express is not equipped with air conditioning, so be wary of this during the summer months especially. 14Do Venice Simplon-Orient-Express reservations fill quickly, and how far in advance should I book a journey? 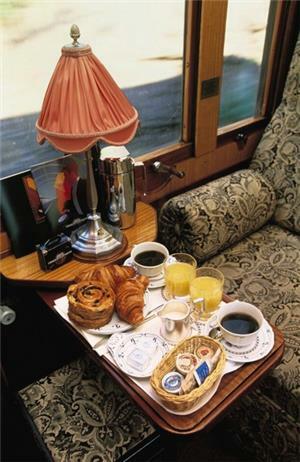 Yes, Venice Simplon-Orient-Express reservations fill quickly so it is best to book a journey a year in advance. Refer to Palace Tours for a list of dates and journeys to plan ahead more easily. 15What currency do I need on board? 16Describe tipping on the Venice Simplon-Orient-Express , as well as the excursions. 17Which languages are spoken on board? 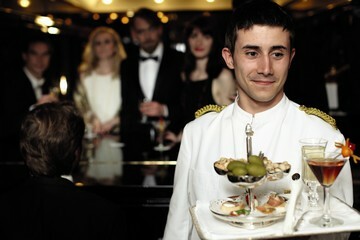 French, English and Italian are spoken by most stewards on board the continental train. If a passenger requires translation to other languages, notify Palace Tours upon booking and a translator can be arranged at an additional cost. 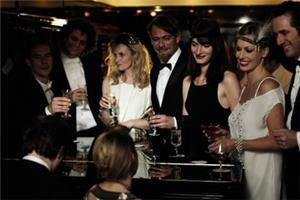 18Describe the demographics of the typical passenger on board the Venice Simplon-Orient-Express. The Venice Simplon-Orient-Express is particularly popular among tourists over the age of 55. In recent years, younger clientele are becoming increasingly represented on the train as well. 19Are children allowed on the Venice Simplon-Orient-Express? Yes, all children are welcome, but ages 7 and up are better recommended. A 20% price discount is also available for children under 12 years of age. 20Can I smoke on board? No. To comply with Italian and other European regulations, Venice Simplon-Orient-Express train operates a no smoking policy on board both the Belmond British Pullman and the continental train. 21I’d like to contact Palace Tours directly, what is the phone number and email? 22What type of staff assistance is available? At any time of day and night there is one steward available for assistance in each carriage.